Every Person carrying taxable supply of goods or services or both whose aggregate turnover in financial year exceeds 20 lakhs rupees on all India basis other than special category states whose threshold limit is 10 lakhs is liable for the registration under the GST in the state or union territory in which he is making taxable supplies. Special category states are north east states like Arunachal Pradesh, Assam, Manipur, Meghalaya, Mizoram, Nagaland, Sikkim, Tripura and other states i.e. Himachal Pradesh and Uttarakhand. Government has made it mandatory for interstate suppliers making taxable supplies to get registered under GST without following the threshold limit as specified in GST regime. Also it made compulsory registration under GST for the recipient receiving taxable supply who are liable to pay GST under reverse charge. Every taxable person liable for GST will get register in to GST within 30 days of becoming liable. The whole system of enrollment has become paperless; hence, no hard copies are entertained by the department. 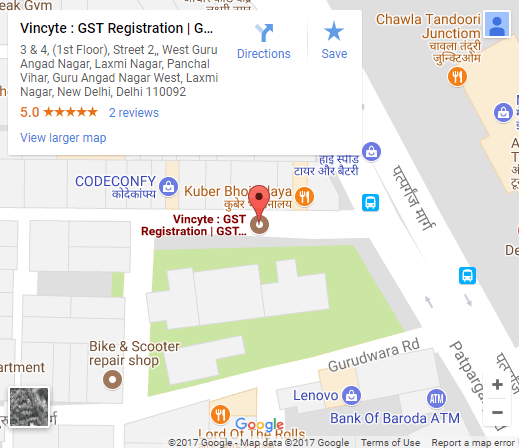 Further, all the aforesaid taxpayers just need to visit the GST system portal and get them registered in to GST by following specified procedure. After Online automatic verification of information captured in form, system will generate application reference number (ARN) thereafter Proper officer starts verification of application. If the information and the provided documents are found in order, then PO shall approve and grant registration in REG-06 within three common working days, if not so then the PO will ask for clarification in REG-03 to the applicants. After satisfaction PO will close objection in REG-04, if not satisfied he will reject application in REG-05. In case no deficiency is communicating within three common working days then registration shall deemed to be granted.